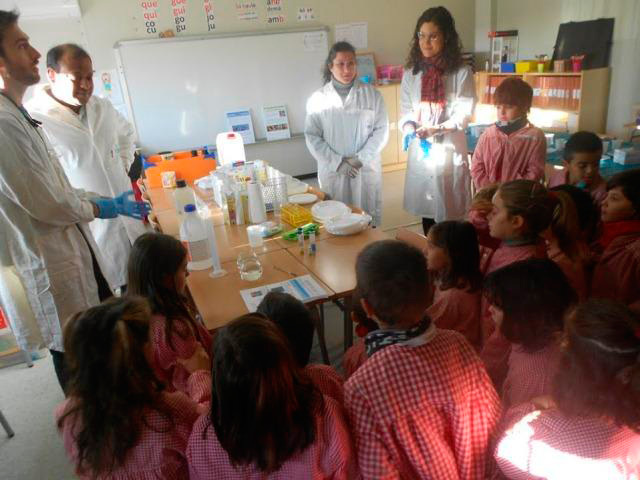 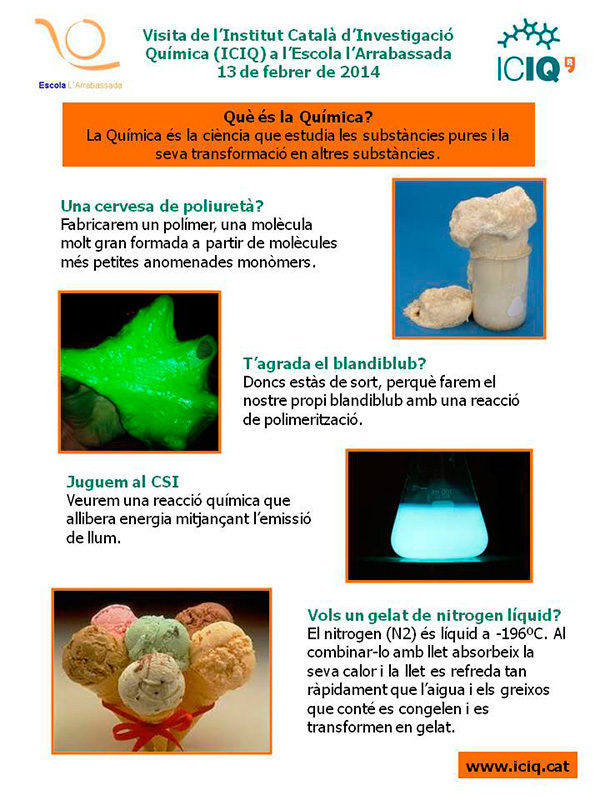 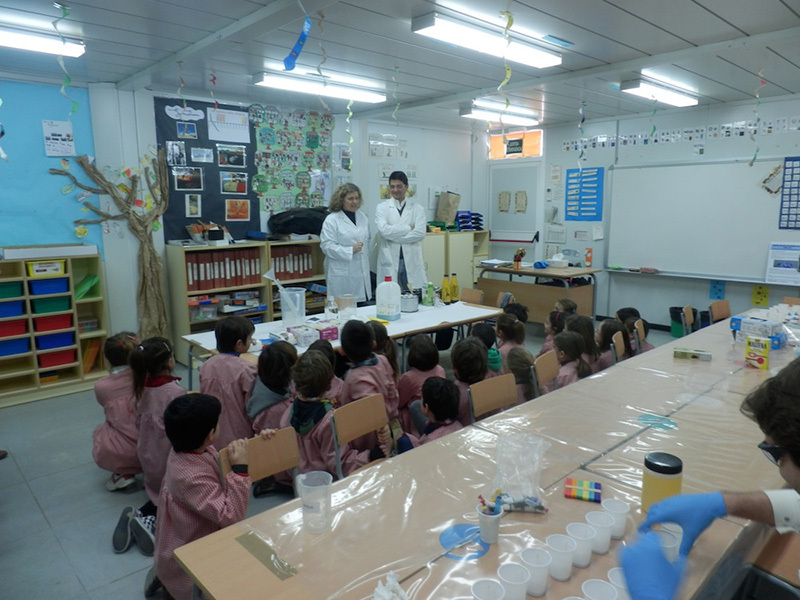 ICIQ researchers visit schools in Tarragona in order to bring chemistry closer to the students. 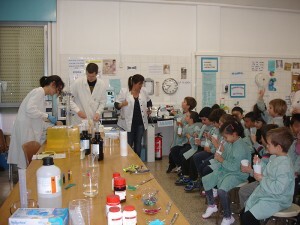 Children in Primary School enjoy a morning full of experiments. 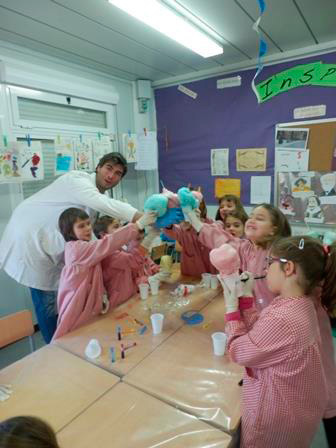 For instance, they can build a volcano with vinegar and baking soda, eat ice cream made with liquid nitrogen and play with blandiblu they make in class.